Luckily, getting your eating habits back on track isn't too difficult. There's no need to starve yourself or eat endless sticks of celery to repent for your yuletide eating sins. With a few choice changes, you can start the New Year the right way, and with something as delicious as a smoothie, healthy eating doesn't have to be bland and tasteless. Nutritious and packed with big, bold flavours, they're an excellent way of stocking up on our five-a-day and a sure-fire way to leave the lethargy in the dust as January ramps up. Here, we'll give you plenty of tips on the best ingredients to put in your smoothies, foods that help boost immunity and some top-notch smoothie recipes to help get you started. Which foods boost your immunity? Chances are your immune system was working overtime during the Christmas season, staving off all kinds of maladies and ailments to keep you in fine fettle. If you're looking to keep winter colds at bay, or you're just getting over an illness, reinforce your immune system with some of these powerful foods you can put in your smoothies. What foods should you use in your smoothies? Since the body doesn't produce or store vitamin C, ideally we need to have the vitamin on a daily basis to keep us fighting fit. Luckily, pretty much all citrus fruits are high in the stuff, so, it's pretty easy to do so. An excellent means of fighting against sore throats, nausea and inflammation, this potent, spicy ingredient goes surprisingly well in smoothies, so make sure to have some handy at home. Rich in vitamin C, the leafy green is also packed with antioxidants and beta-carotene, which makes it perfect for fighting infections. Throw a handful in your smoothie and go green when the New Year starts. Almonds are high in vitamin E, the comparatively unsung cold preventer that's key to a healthy immune system. They also have plenty of healthy fats which are great in moderation. Soak them in water overnight so they blend up nice and smooth. Yoghurts with "live and active cultures" such as Greek yoghurt are a delicious way to boost the old immune system. Avoid the flavoured varieties as these are usually full of sugar – a dollop in your smoothie with plenty of healthy fruit to sweeten the deal is all you'll need. 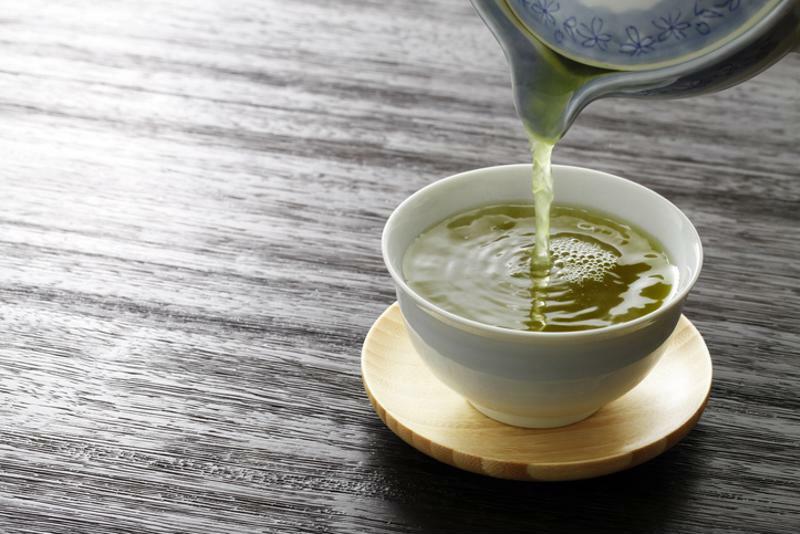 Like a health food shop in a bag, green tea is well-stocked with all manner of antioxidants, from flavonoids to EGCG. All fancy terms, but all you need to know is that they're good for the body. Throw in plenty of the amino acid L-theanine and this is one ingredient you'll want to have in your corner. Green tea is like a health food shop in a bag. With 82% of the daily recommended amount of vitamin E in just quarter of a cup, sunflower seeds are packed with power. Phosphorus, magnesium and vitamin B-6 are in abundance here, and its antioxidant properties keep your immune system at peak performance. While it might be tempting to throw in any old fruit and veg into a smoothie on the basis that it's all good for you, you still have to be mindful of a few things. For starters, while the sugar in fruit has plenty of good stuff in it like fibre, vitamins and minerals, too much of any kind of sugar can cause a steep rise in blood sugar levels, which will crash quickly. Avoid all-fruit smoothies high in sugar; proteins and healthy fats will help to balance out the meal and keep you powering through the day. Fruits that are lower in sugar, like raspberries, strawberries and blackberries will help out too. Go for fibrous veggies like spinach, kale or broccoli, or seeds like almonds, flax meal or chia seeds. They'll make your smoothie take longer to digest and keep you feeling fuller for longer. Don't forget about protein either; 10-15 grams of things such as tofu, beans, seeds, plain yoghurt and dairy-free milks will set you right. Protein powders are also good, but just check the label to make sure they're low in sugar, while nuts and seeds have the required healthy fats you should be getting too. 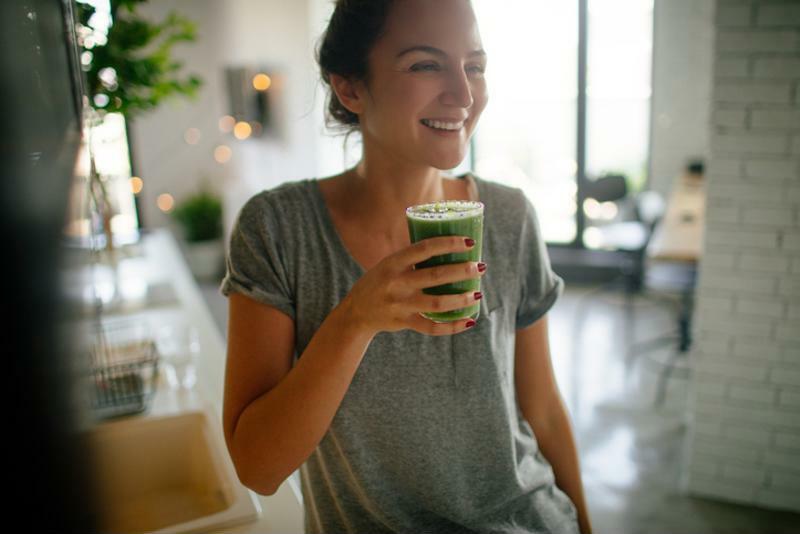 Whether it's something to get you going in the morning or a quick pit-stop in the afternoon, give these simple smoothie ideas a go if you're in need of a detox. Fast, nutritious and delicious, the humble smoothie is all pro, no con. If you're looking to stay healthy, boost your fruit and veg intake or lose a bit of Christmas baggage, then you can't really go wrong with them. And better yet, there are so many options out there, you can have your smoothie just the way you like it. Looking for more inspiration? 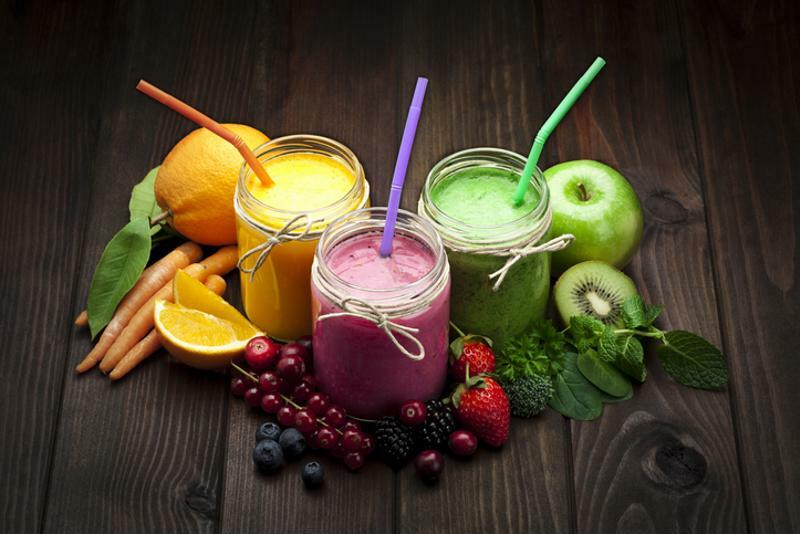 Here's some top ingredient ideas you can use to create your own smoothie! Select your fruit and veg - Go for two types of fruit or veg at the least and use about ¾ of a mugful in your smoothie. Green veg like spinach, kale or rocket for an extra health kick! Sourcing fresh fruit and veg for your smoothie every day may seem like a hassle. Luckily, storing your fruit and veg using the FoodSaver system can keep them super fresh, without losing any of their vitamins and nutrients. Convenient and packed full of health benefits! The plot thickens - Whether you like things on the thick side or prefer it runny, here's where you'll get the consistency to your liking with and a bit more nutrients to your smoothie. Inject some extra flavours - Add a bit of a kick or balance out the flavours with things like sweeteners, spices, extra fruits and herbs. Take things up a notch - Really wanting to make the most of your creation? Give it a proper power boost with these additions – they're all packed with optimum nutritional value! Don't forget, to help these recipes last a little longer they can all be stored using the FoodSaver vacuum sealing system to help you save money and reduce food waste. For more information about our innovative vacuum sealers, be sure to visit our homepage.